Another few more hours, we will be welcoming 2013. Before anything else, I would like to thank you all for following along on my wire jewelry journey here, + other journeys as well :), and for taking the time to leave me feedback and comments. Thank you for your support and friendships over the years. This year 2012, my posting is not as frequent as I wanted to. 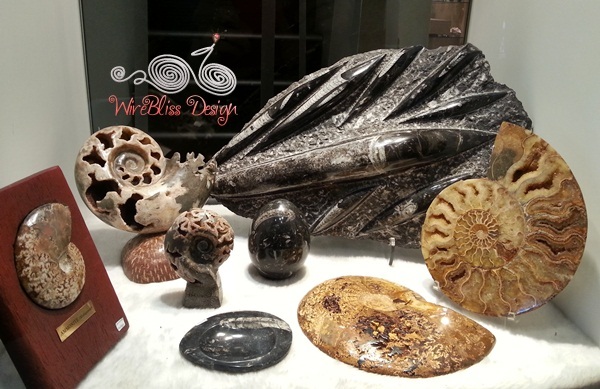 Same goes to wire jewelry projects and tutorials. I can give lots of excuses but basically it has something to do with time management. Like previous year, there will be no new year resolution for me. No point for resolutions if I can't fulfill them. However, I am looking forward to overall improvement in whatever I will be doing and embark on. Hahaha... that's more achievable and very general. For this last post of 2012, I will share random photos taken last month and this month. 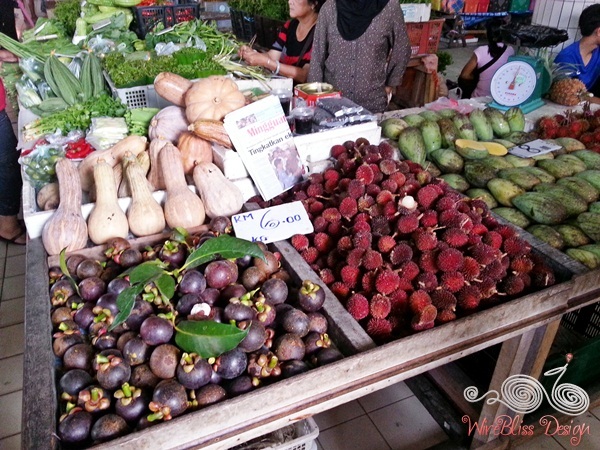 First of the batch is about fruits - its the durian, rambutan, mangosteen, langsat season here. Temporary fruit stalls set up along the roadside, mostly selling durians and seasonal fruits is common sight around the City and its outskirts. Posted this Mangostene pic on FB. 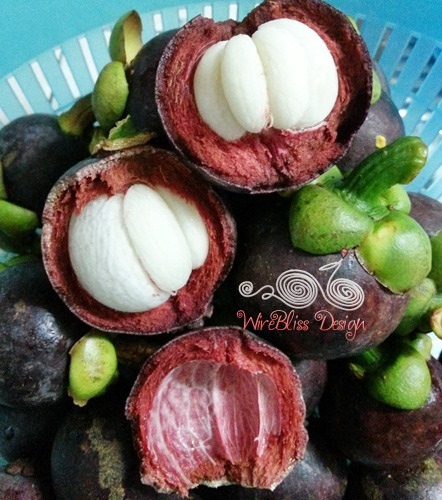 One of my favorite fruits. Yumm! 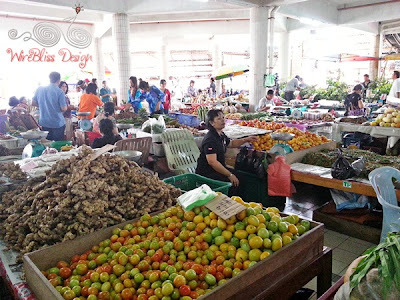 We drove all the way to Asajaya looking for fruits, fish, prawns, pineapples, etc. A "new" fruit I discovered (dark brown skin). 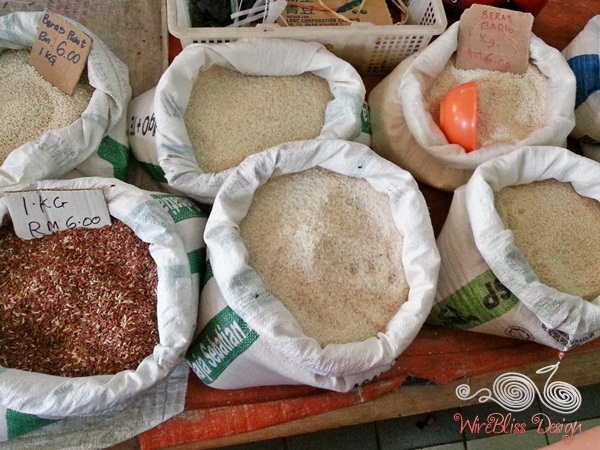 2 weekends ago, we went to Serian (again) and stopped by the Market. Yeah, it is becoming like an annual trip for us...hahaha. Though not buying, we were happy just going around and look at the various fruits and vegetables. Mixture of fruits and vegetables - rambutan, chilly, terung Iban, cucumber, corn, pineapple, nipah fruit (not very sure about this). 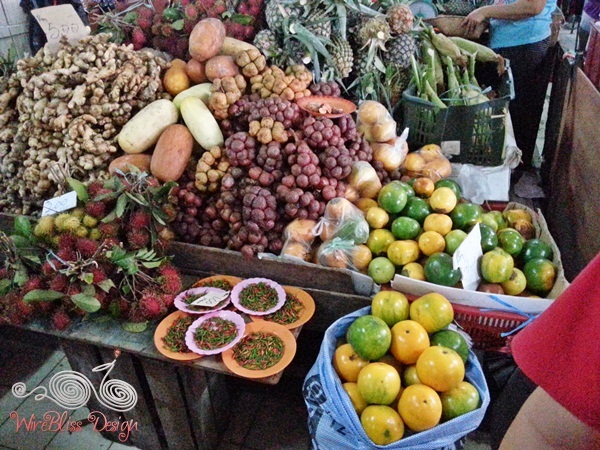 More fruits - Mangostene, rambutan, mango and pumpkin. 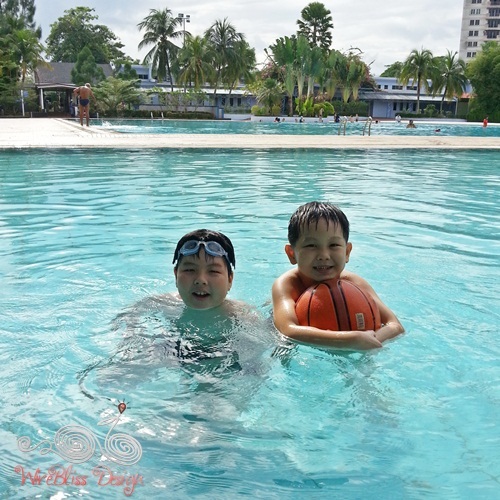 Then there are the boys and school holidays. 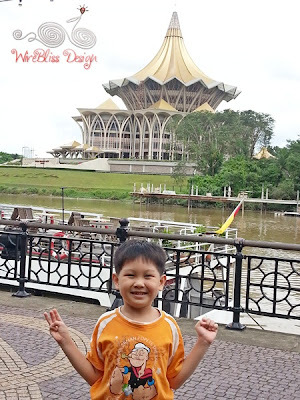 Took them "jalan-jalan" (walk around) here and there. 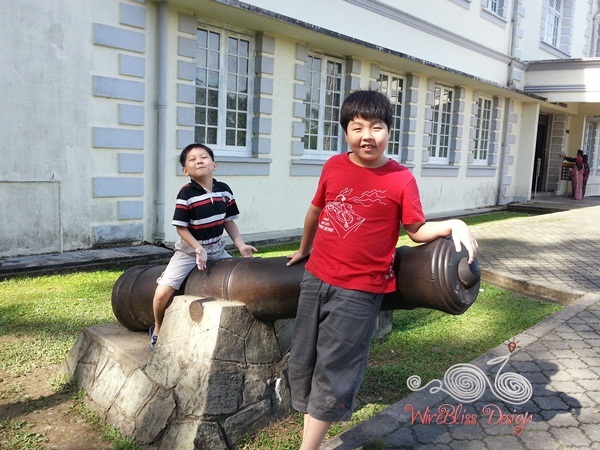 At the Sarawak Museum compound. They like this better than the Museum. 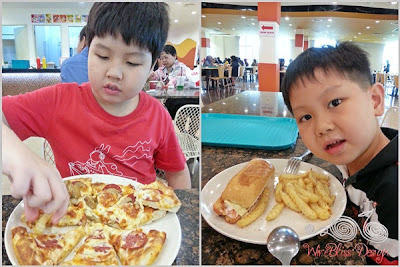 Each with their favorite food. At Kuching Waterfront, the New Sarawak State Legislative Assembly Building at the background. 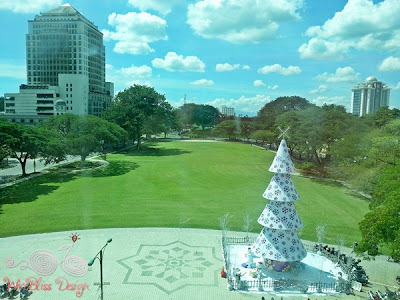 View of Padang Merdeka from Plaza Merdeka, a newly opened shopping mall. The same Christmas tree on Christmas Eve 2012, pic below. 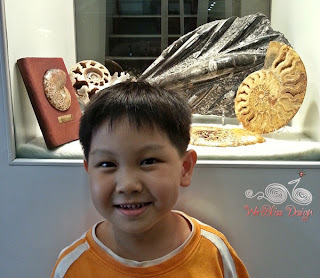 The Ammonite (right) is as huge as Henry's head. Wishing you all a healthy, prosperous, successful and happy new year 2013. Wonderful photos Mei...I enjoy seeing your country, it is so interesting to me...and the boys are getting taller. They grow so fast don't they! 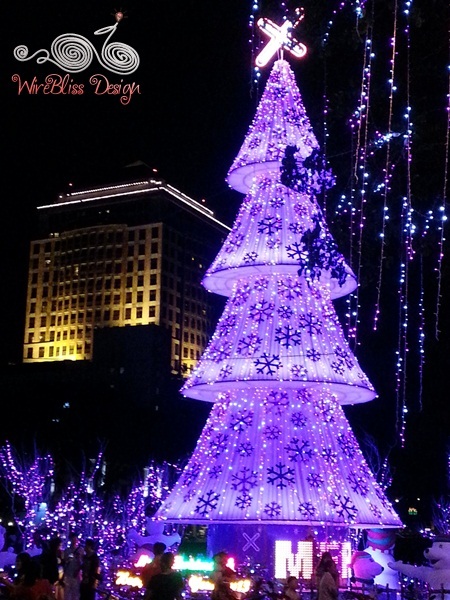 All the best to you and yours Mei, wishing you health, happiness & prosperity in 2013!!! Its back to school for them starting tomorrow. Wish you a very happy new year too Heather.